Vote forCoober Pedy, SATop Regional Destinations Which are Australia's must-visit destinations? You help us decide. This isolated mining town situated directly in the middle of the South Australian outback is one of the country's most unique travel spots. Renowned for its scorching hot temperatures that force many of its residents to seek refuge in homes underground, Coober Pedy has also also got enough of its own distinct sightseeing attributes and cultural quirks to make for one of Australia's most memorable visits. Why it's special: Covered by ocean more than 150 million years ago, sandy silica minerals from the seabed filled rocky cracks and cavities and solidified over time to become multi-coloured gem-stones known as Opals, making Coober Pedy the opal capital of the world. With 70% of the towns 3500 population living underground to escape the blistering heat, Coober Pedy is like no other place on earth. Coober Pedy, which lies around a 9 hour drive roughly to the north of Adelaide, was built on the back of the mining industry and dubs itself the “Opal Capital of the World” due to its penchant for the gorgeous gemstones. Hitting the road on four wheels from the South Australian capital to this remote hotspot is one of Australia's iconic road trips, for a variety of reasons. The aforementioned “dugout living” is one of the first and most obvious calling cards of the town – over half of its population lives in subterranean domiciles – and serves as the main curio for many travellers, with interested visitors able to take part in guided tours to see one of these homes for themselves. They're surprisingly well-equipped as well as comfortable, maintaining a temperature around the 24°C mark despite the ability of above-ground temps to soar as high as 50°C in the hottest months. Those wanting to take things a step further can even book their own underground accommodation; Coober Pedy's Desert Cave Hotel gives visitors the chance to sample a bite of this unconventional lifestyle by renting one of their 19 dugout rooms. Mining is another inescapable focal point of any trip to Coober Pedy, and as a result it's hard to resist the temptation of leaving without buying at least one of the town's signature opals; it features the world's largest display of the gems, with many of them surprisingly reasonably-priced, too. A more in-depth look at the town's mining history and present-day activities can be had courtesy of the excellent Umoona Opal Mine (which made our South Australian Bucket List of Top 100 SA Experiences), that serves as a comprehensive tribute to the region's history, industry, indigenous culture and innovative construction techniques. Visitors have the ability to wander through the mine's curated sections and absorb the detailed information at their own pace, while there's also some wonderfully-produced material chronicling the Aboriginal perspective on the region and its opals. Capping things off on a Coober Pedy visit is the sheer expansiveness (and emptiness) of the surrounding terrain itself. Exemplified by the multi-coloured beauty of the Breakaways Conservation Park roughly 32km to the north of Coober Pedy, the earth here serves as a reminder of the terrains geological origins, and is particularly spectacular at sunset as the colours are amplified further. Of course, seeing everything Coober Pedy has to offer takes more than a single day, yet if you're wanting to visit a destination quite unlike anywhere else in the country then it's well worth the investment of both time and money. Looking to pay a visit to Coober Pedy but not sure what to do? Here are a few of its most essential experiences. What's new in Coober Pedy in 2017/2018? Regional Express regional airline extended its services which will extend through to Coober Pedy, meaning connectivity will be greater than ever for those planning to visit. A ballot was held to allow miners to mine on sections of land that have been untouched for almost 40 years in order to supply more of the region's famed opals. 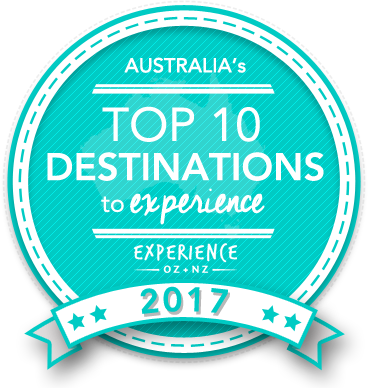 Is Coober Pedy Australia's Top Regional Destination to Experience for 2017? Vote now for the chance to WIN an epic trip to one of Australia's top destinations!